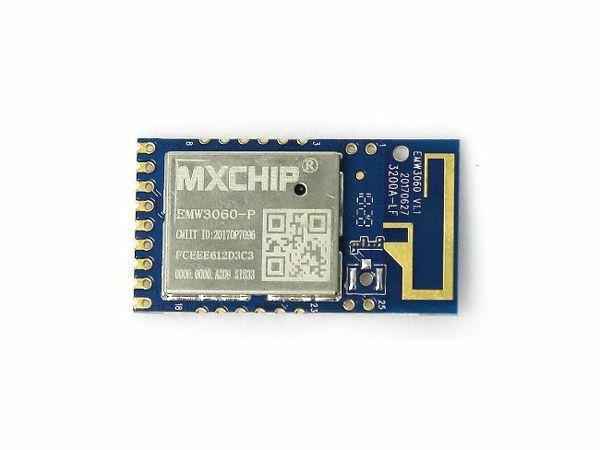 The MXCHIP EMW3060 is a small Wi-Fi board that integrates an ARM processor, which can help developers deliver small IoT projects affordably. The EMW3060 may have less flexibility than its Arduino alternatives though. 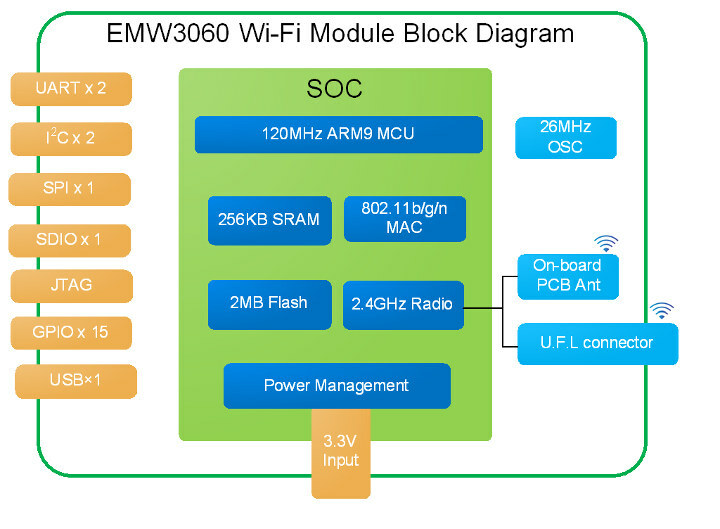 The EMW3060 is a small developer board that measures 33 x 18 mm and yet integrates IEEE 802.11 b/g/n Wi-Fi that supports up to 72.2 Mbps transmission speeds. 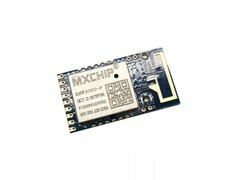 MXCHIP has also incorporated an ARM9 processor that operates at up to 120 MHz and which is complemented by 256 KB SRAM and 2 MB flash memory. 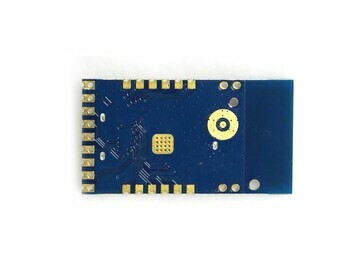 MXCHIP has designed the EMW3060 with holes and castellated holes, which tend to be more difficult to use than the solutions integrated within other popular single-board computers and developer boards. The EMW3060 has dual UART and I2C ports for connecting sensors and actuators, along with single SPI, SDIO and JTAG ports. The EMW3060 also supports up to 15 GPIOs and can operate in temperatures between -20 °C and 85 °C (-4 °F to 185 °F). The chip also has a built-in oscillator that operates at 26 MHz and runs at 3.3 V, although it will work at between 3.0, and 3.6 V. The board would be suited for use in IoT systems like intelligent lighting, smart home applications and industrial automation among others. The MXCHIP EM3060 is currently available for US$1.79 for a single board, which drops to US$1.65 each for two units and US$1.55 each for fifty units or more.